This room has all the necessities to be handsomely elegant. Starting from the sky high windows with wood trim and the decorative crown molding, it all adds lots of richness to the space. The off white flooring, dark walls and a lighter shade for the ceiling creates great contrast and depth. 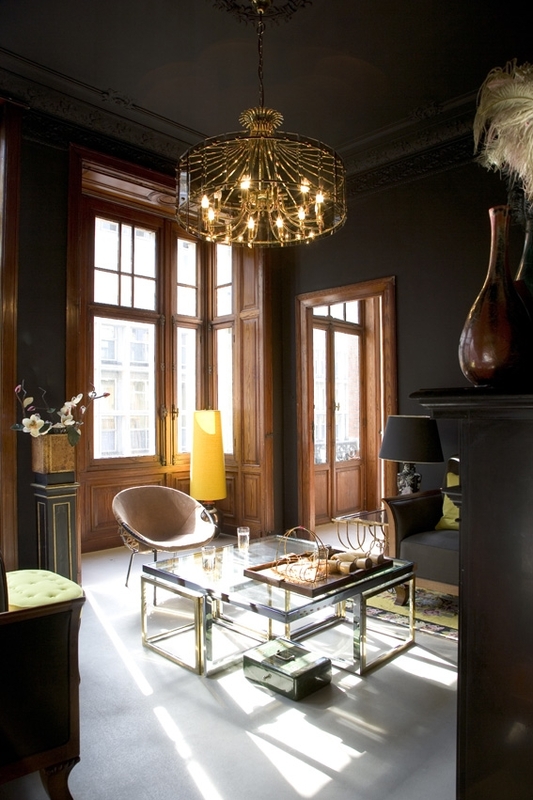 The gold is carried throughout the room starting on the ceiling with the gorgeous chandelier to the legs of the coffee table and side table. Mix warm wood with shades of grey for a traditional and handsome look!